All I can say is-"These flies work and work well." Just remember, tie some on dry fly hooks as well as wet fly hooks. Fishing them upstream, similar to dries, in the film or just below is very effective. Fishing them in teams, also works well on the big waters out west. Check out some of Syl Nemes' techniques, too. Don't forget "flymphs" are effective emerging fly imitations. That's why they often work well upstream. 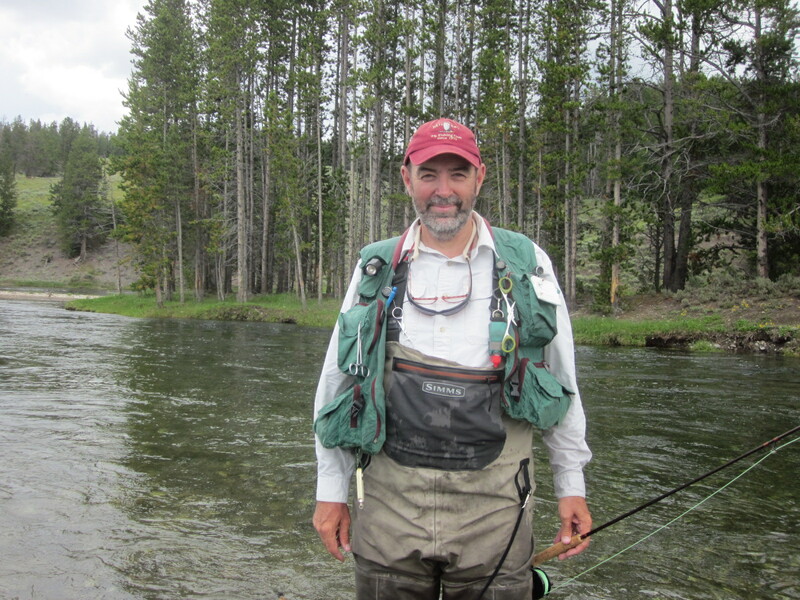 You MUST visit Jim Slattery when you hit W. Yellowstone. He has been researching ultra violet light and it's importance to fly tying. Check in with him. He might have a fly or two for to try. If you have ANY specific questions, get in touch. We awoke this morning with a doe and her two yearlings lying out on the grass in the back yard. These are the culprits that like to eat Lisa's lilies out back near the woods...One of the yearlings has this wonderfully dark fur and I'm hoping the neighbors weren't looking out back when Spence was back there in his pajamas and slippers, "Here little deer. I won't hurt you...I don't have a pair of scissors hidden behind my back here, honest! ;)"
Re: What size are damselflies?